You can further support the cause at this year's Race for a Cure on October 6—early bird registration ends July 31. The Average yearly cost of childcare for an infant: $8,495. The average hourly cost of adult daycare: $39. The average cost of transportation per year: $9,000. Now try adding in the cost of breast cancer treatment. This is the reality for many Houstonians facing cancer: mounting miscellaneous bills that insurance won’t cover. This spring, Susan G. Komen, the breast cancer awareness foundation behind your pink water bottle and all those ribbons, established a grant program to help those fighting breast cancer to finance the extra costs associated with treatment. The North American Association of Central Cancer Registries reports that nine cases of breast cancer are diagnosed every day in the Komen Houston seven-county service area; over 586 people in that region will die from breast cancer this year, according to the CDC. 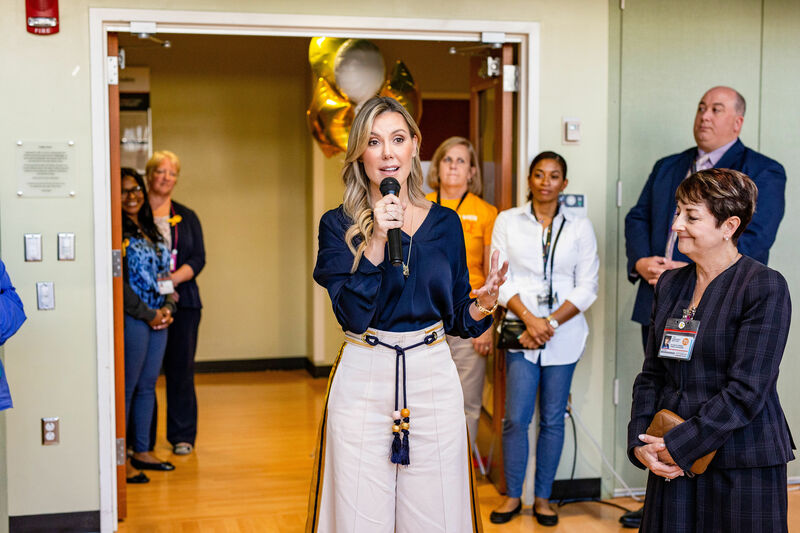 “Once people are diagnosed with breast cancer, there’s definitely financial barriers, and we’re trying to eliminate those barriers so men and women can continue their care … in a timely manner. This treatment assistance program will help with that,” said Ginny Kirklin, Senior Director of Community Programs and Partnerships with Komen. Part of Komen’s “Bold Goal” to halve breast cancer deaths in the U.S. by 2026, the Treatment Assistance Program provides up to a $300 annual grant to those struggling to pay their side bills during cancer treatment. Kirklin says it’s a start, and it can be particularly helpful with paying for transportation to treatment and frequent medical appointments—with Houston’s underdeveloped public transportation system, many Houstonians without cars find it difficult to get to their doctors. The $300, Kirklin says, can go a long way toward a cab or Uber. The program was founded and financed by Dr. Ray and Anne Meyn. Both faced cancer, and Ray was a cancer researcher before his death in 2017. They bequeathed $25,000, which Komen says can help around 70 people. To date, it’s helped 25 in Houston and another 10 around the country. “[The Meyns] both understand the financial hardship [cancer survivors face],” Kirklin said. 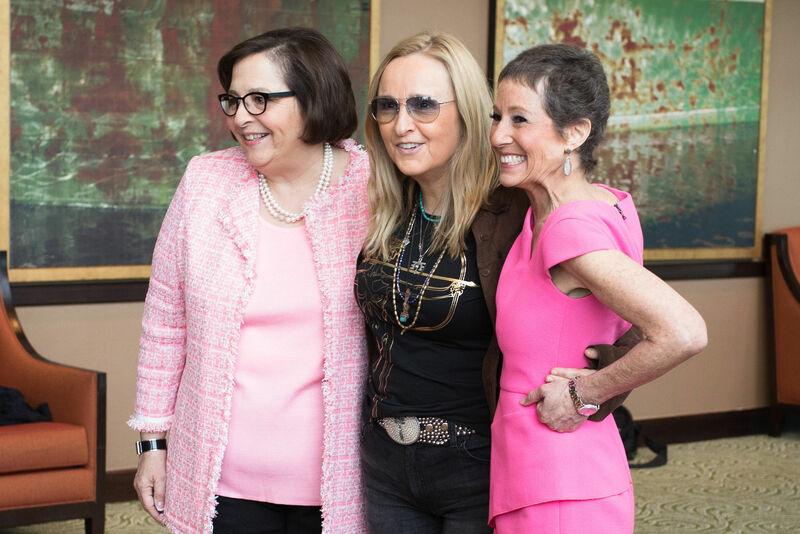 In thank-you notes to Komen, patients have praised the program—one wrote that the financial assistance helped her purchase lymphedema garments used to combat swelling during treatment. To receive the grant, patients must call Komen’s hotline to discuss eligibility, which is dependent on income. Patients with insurance can still receive assistance. An oncology social worker will assess patient needs, and the check comes after. Another major fundraiser for the organization is Komen’s annual Race for the Cure, which will take place on October 6 this year. 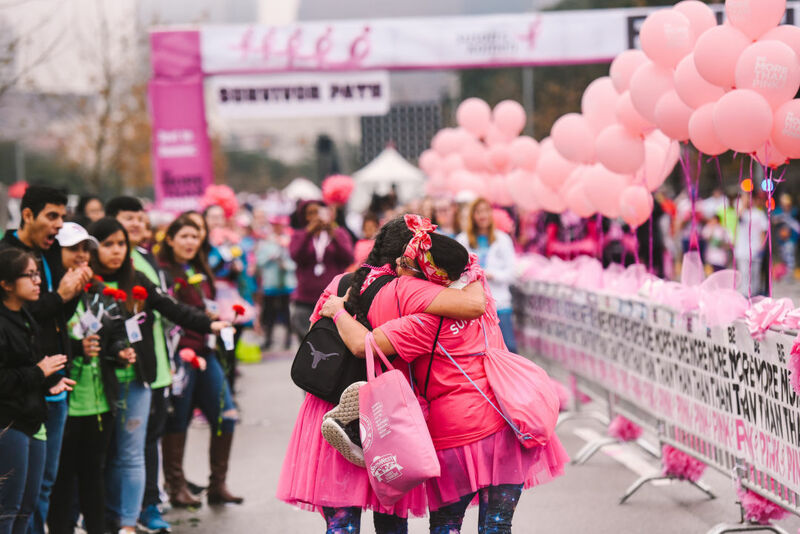 2017 was an off year for the fundraiser due to the devastation caused by Hurricane Harvey, but Komen reps hope this year’s race will meet the $1 million goal. 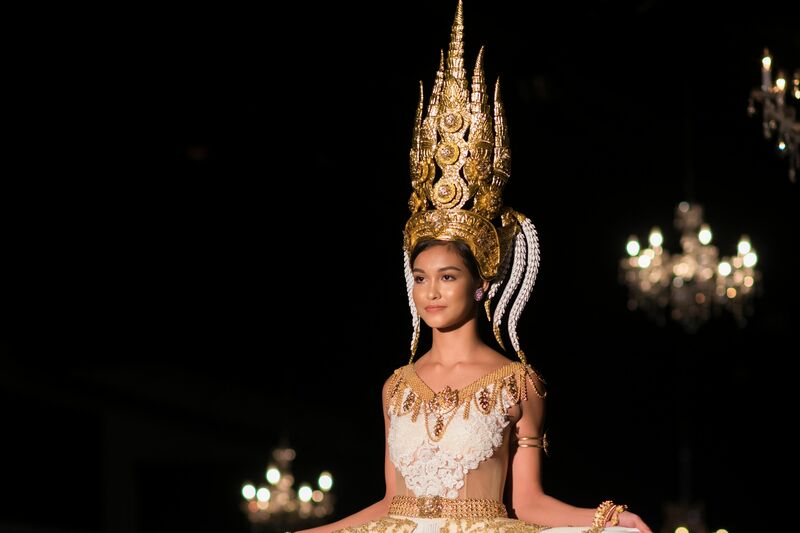 Today (Tuesday, July 31) marks the last day to take advantage of early bird registration—signing up early gets you a discount on fees. Breast cancer patients interested in the program can call the Komen hotline at 1-877-GO-KOMEN for more information. 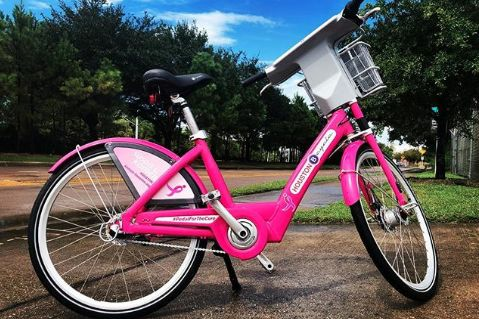 Have You Seen These Pink Bikes Around the City?